The Acoma Pueblo sits on a plateau about 70 miles west of Albuquerque, NM. This shot shows the traditional entry method to the dwellings. For security, the original structures had no entry doors from street level. Ladders were used to access the roof and then the home. 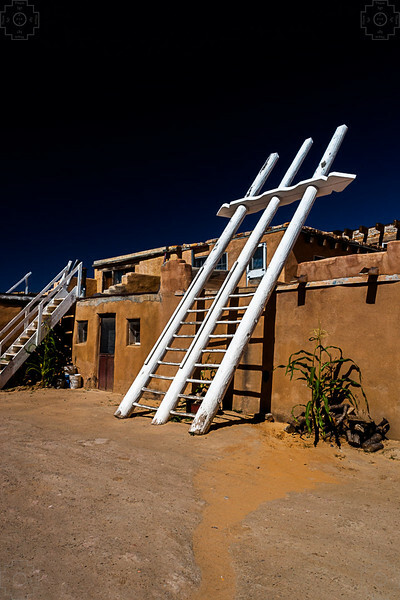 The ladders were brought up to obstruct unwanted visitors.